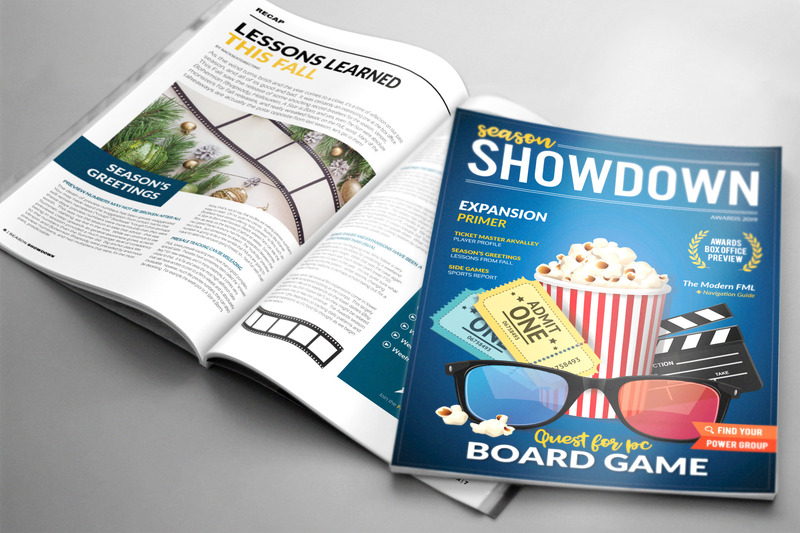 Season Showdown magazine is a collaborative effort by and for the players who devote countless hours to FML each season. Our jokes and struggles may be lost on those who play more casually, but we are proud to live and die by our SS ranks. Special thanks to: 20th Century Flops, Adam's Derelict Drive-In, AKValley, BackseatDirecting, BB, Biff, BOR, Braveheart Gladiator Rounders, Furiosa, Hammock, Katniss' Cinnaplex, Nosferatu's Shadow, Pandora Cineplex, Plexy, Real Fake Films, and Rockinthe607's Awesomeplex. The previous issue can be found here. Bump for awesomeness and pinning. You've done it again, Clever! Thanks for putting so much time into planning and arranging the magazine. There needs to be double heart button for content like this. Fantastic job, Clever! "You manually counted theaters for a limited release. Why?!? Consider going outside." Amazing work. Thanks for putting all the time and energy into this @clever! Great job everyone! Huge shout out to @akvalley my fellow Arkansan! Amazing job again, @clever! I really enjoyed the AKValley article.